There is nothing quite as satisfying as the reward of a beautiful spring after the doldrums of a long winter season. As we prepare for spring blooms and park days, we are also preparing our personal outdoor spaces. Think about what needs to be done to get your porch, backyard or patio ready for the warmer seasons. What environment are you in? Coastal, humid, arid? What is the purpose of your space? Relaxation, entertainment, etc. How many people do you want to accommodate? What materials do you need to buy? If it is time to buy or replace your outdoor patio sets and lounge furniture, there are a few options to research. 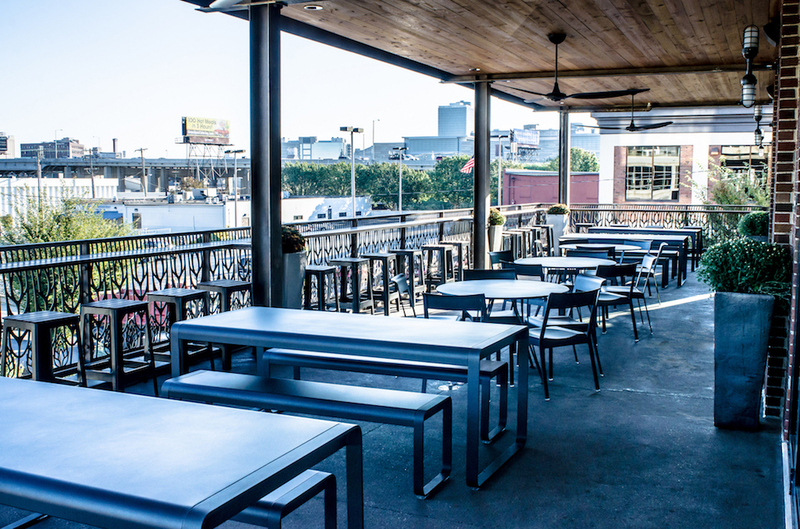 Consider the differences between aluminum and steel patio sets and select the best one for your environment, style and comfort. Steel became a popular furniture material during the 19th Century at the peak of the Industrial Revolution. Steel is often formed into traditional, cast-iron designs. Steel is flexible, durable, able to handle high traffic and withstand repeated use. It is heavier than aluminum and can handle higher winds. 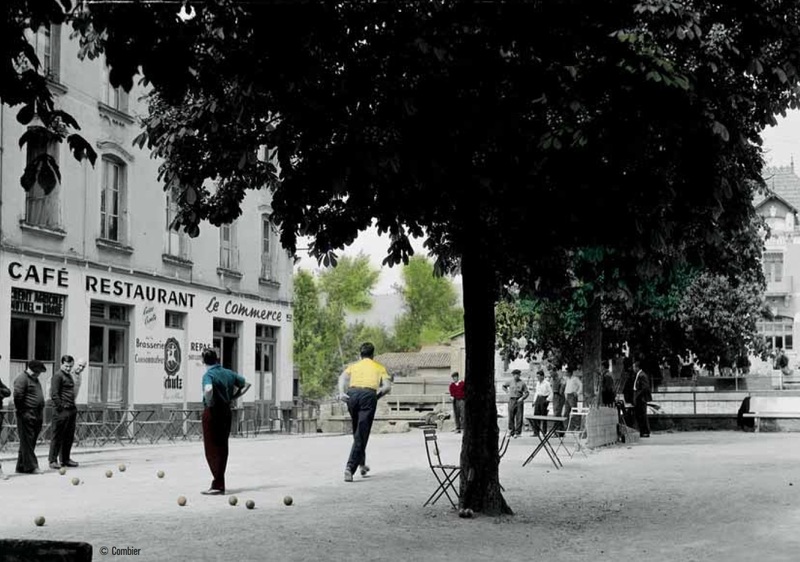 Fermob’s Bistro and 1900 Collections brings the elegance of a French courtyard into your space. Aluminum is a lightweight metal and weighs about 1/4 as much as steel. 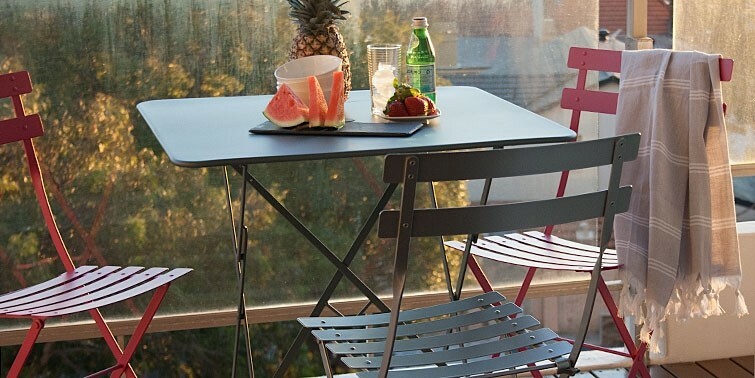 It is durable, cheaper to transport and easy to move around or to stack for space-saving in smaller outdoor spaces. Aluminum resists rust and moisture damage better than steel. As such, it is an ideal choice for coastal or humid areas. 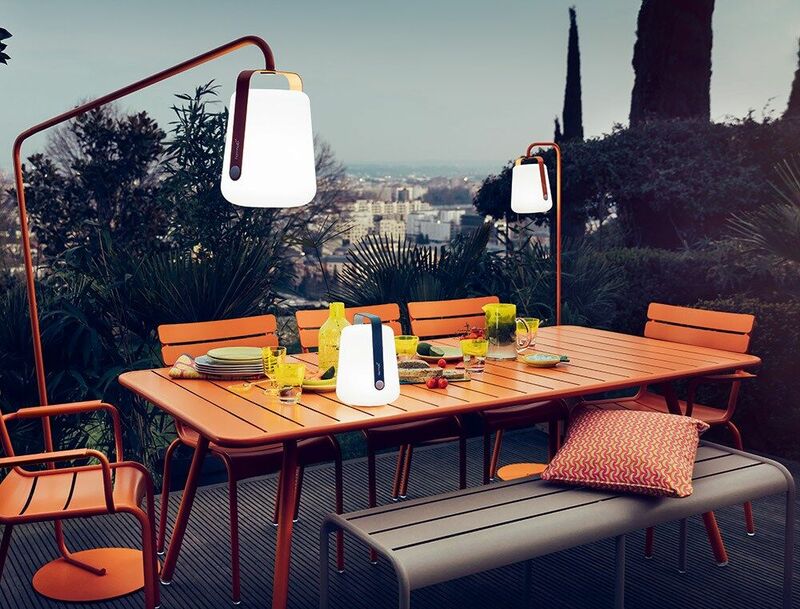 Fermob’s Luxembourg Collection offers a variety of beautiful aluminum pieces to put together your ideal outdoor space. 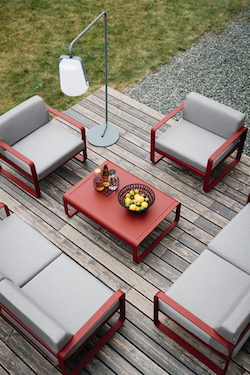 If you require deep seating, outdoor furniture made with aluminum and outdoor cushioning provides comfort for outdoor lounge and sitting areas. A current trend this spring is bringing the indoors outside which includes the family room. Now you can expand your living space into the outdoors with an upholstered sofa, armchair and coffee table like the Bellevie Collection. 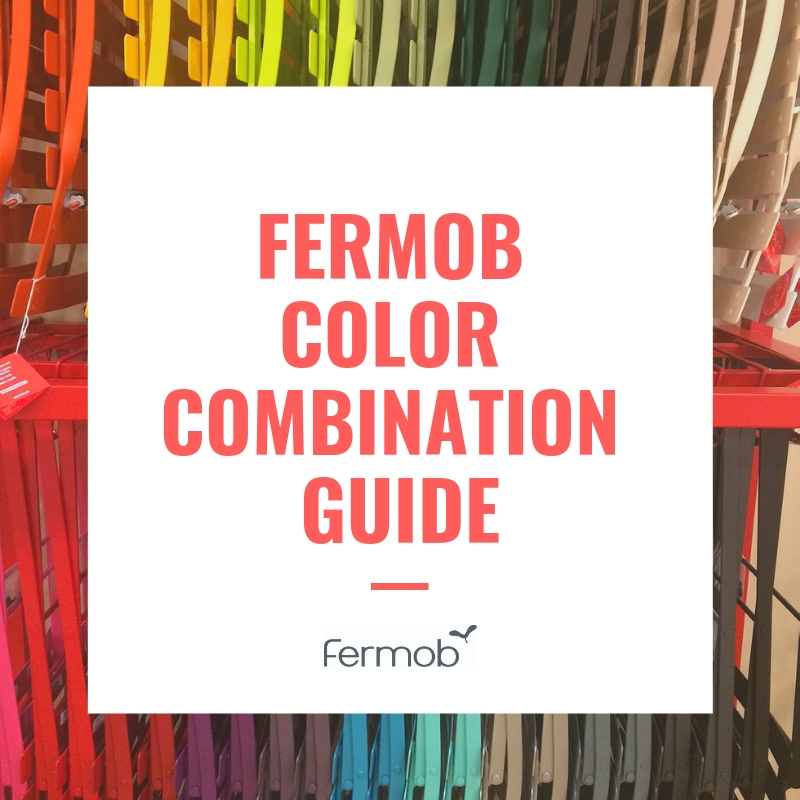 All of Fermob’s products are weather-resistant and designed to last. 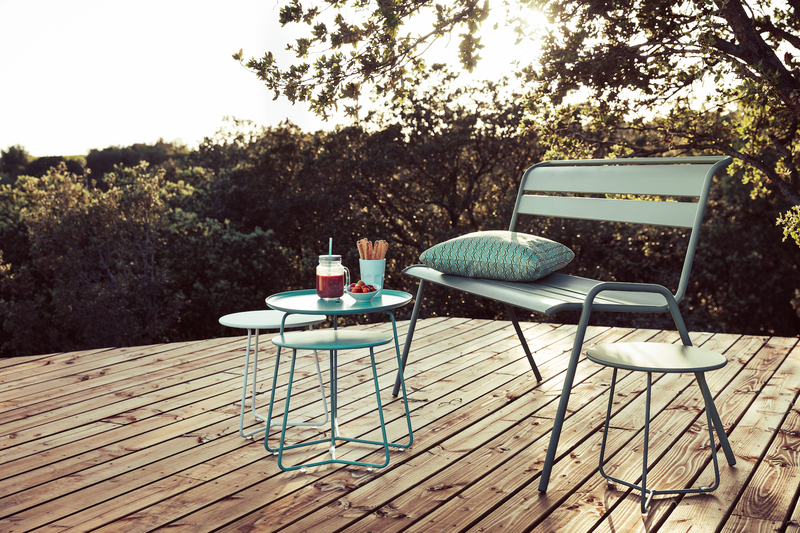 Fermob’s Bellevie collection is made from powder coated aluminum and weather resistant cushions. The cushions are weather and UV resistant. They are not water proof but they are water-resistant and should be turned on their sides when they get wet to allow drying. 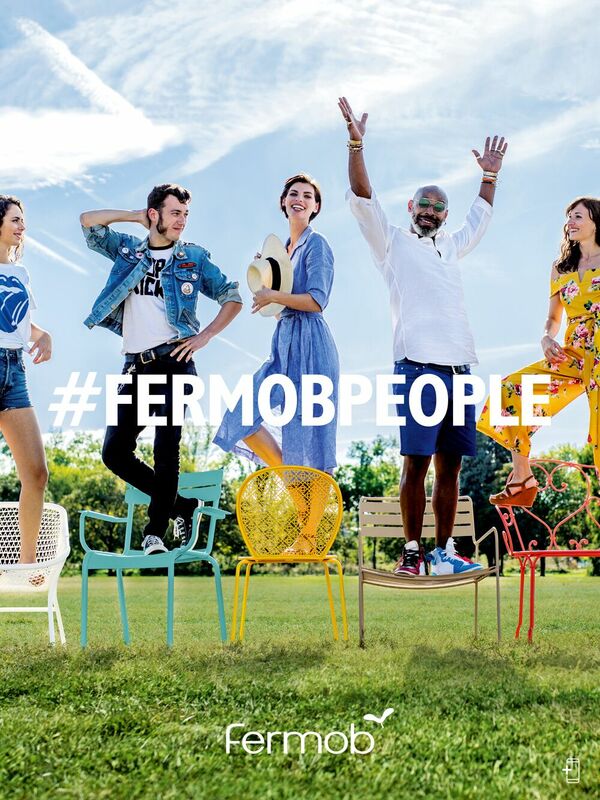 Fermob’s colorful outdoor furniture is treated with this dry finishing process. 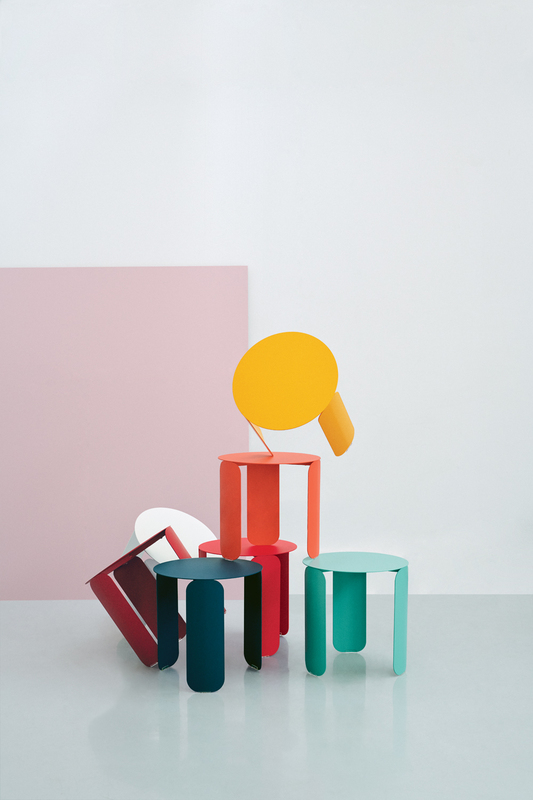 It involves spraying electrostatically charged coating onto furniture and then heat curing the pieces. Powdered coating adheres to metal better than liquid paint. The finish is strong, long-lasting and scratch resistant. Spending more time outdoors can lift your spirits and bring joy as we celebrate the finer things in life like quality time with family and friends. Selecting the right metal outdoor patio furniture for your environment and lifestyle will ensure that you have years of comfort and good times relaxing with loved ones.